A good SEO ranking is very important to make your pages accessible and popular among the search engine users. It helps keeping your website on the first few pages of the search engines instead of getting buried somewhere no one will go. There are various SEO techniques that companies or webmasters employ to get that ranking, generally characterized under the terms ‘White Hat SEO’ and ‘Black Hat SEO’. White hat techniques make use of processes such as using keywords in URLs, using appropriate back-links etc. Search engines appreciate these techniques, but these processes are long and cumbersome, so many webmasters resort to the negative side of SEO, the ‘Black Hat SEO’. The oldest and the most straightforward black hat SEO technique is to put a lot of keywords in your content, which may not even be relevant to what your site offers, in order to get more hits on a search engine. But this method is easily detectable because of the fact that most of these websites don’t offer anything even remotely related to the keyword searched for. Overusing Keywords in the content of a page, especially its Meta tags and title tags to fool the search engine algorithms into believing that your website is about the keyword, when it may not be. Hidden Links are used to link together various pages by the same webmaster, having the same keywords. These pages do not usually have unique content, or even relevant content, but this linkage helps the site get a higher rank. 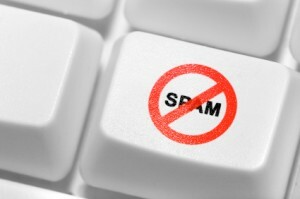 Link Spamming is another type of the technique used in “hidden/secret links”, but in this situation the links are evident, and search engines like Google, with their PageRank algorithm, which rank websites through link analysis fall prey to this method. This is one of the worst and most effective black hat techniques. Cloaking is a method through which users are shown different versions of the same page. Hidden Text is incorporated into webpages by using the same colored font as the background of your page, so this text is filled up with keywords that are only visible to search engines. So you get the ranking you need, while keeping the integrity of your website intact, as the user only sees what you want them to see. Doorway Pages are those which are created solely for the search engines. They have keywords and meta tags that are picked up by the search engine, but as soon as a user clicks on the link, they are redirected to another page that is actually relevant to the search. These are the basic techniques that are used by webmasters to get their websites into the first two pages of search engines. This leads to search engine spamming. Black hat techniques are faster and easily implemented, but the downside is that modern search engines are getting smarter each day and it is getting harder to deceive them. Where on one hand black hat techniques get your website a respectable position, they can also cause your webpages to be blocked or removed entirely, if caught, which is usually the case in long term use of these methods.